200MSa/s real-time sampling rate,10k—16M memory depth per Channel. 25MHz arbitrary waveform output,(sine wave can deliver up to 75MHz) 200MSa/s DDS,12bits of vertical resolution. More than 20 kinds of automatic measurement function,PASS/FAIL Check function, is suitable for engineering application. 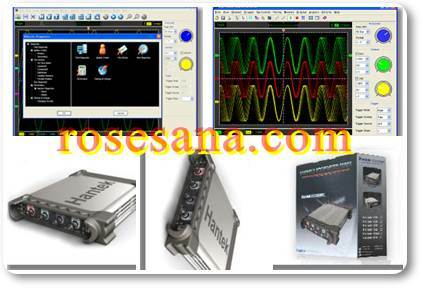 Excellent industrial design, similar interface with bench oscilloscope ,Easy to use. Supply DEMO code (VC,VB,LABVIEW) and technical support.